Celebrate The Phantom Menace with this cute new Loungefly x Star Wars backpack! 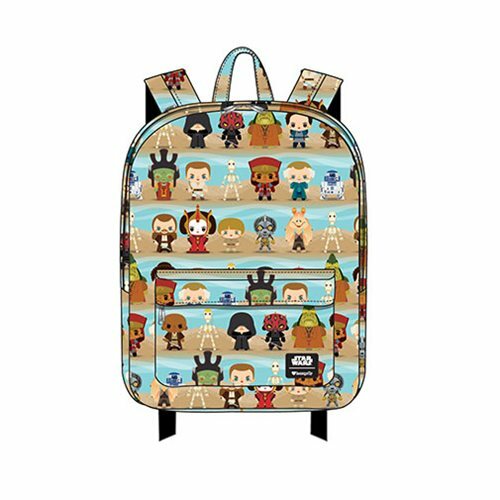 The nylon backpack features an all-over repeating print of chibi-style characters from The Phantom Menace, including Queen Amidala, Anakin Skywalker, Jar Jar Binks, Qui-Gon Jinn, Obi-Wan Kenobi, and even Senator Palpatine! There is also a matching zip-up nylon bag, which can be used as a coin purse, makeup bag, or pencil case! Please note these are pre-order items, with stock expected to arrive in November 2018. 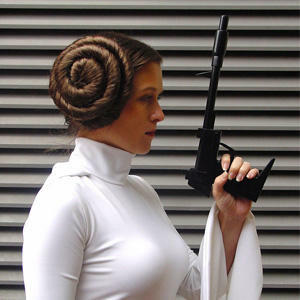 Get the latest fashion from a galaxy far, far away. This Star Wars Phantom Menace Chibi Character Print Backpack is made of nylon, with printed details. It measures approximately 11 1/2-inches x 17 1/2-inches x 5-inches. Get the latest fashion from a galaxy far, far away. 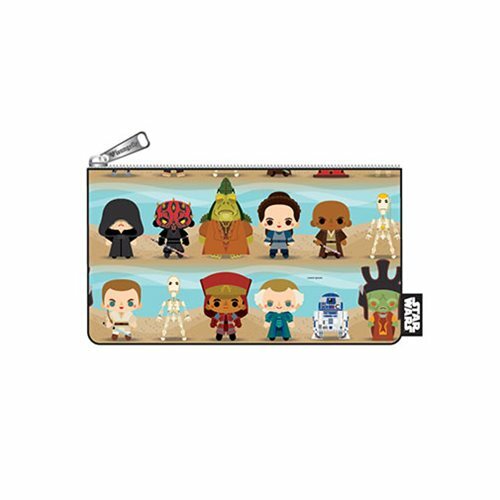 This Star Wars Phantom Menace Chibi Character Print Pencil Case is made of nylon, with printed details. It measures approximately 8-inches x 4-inches. 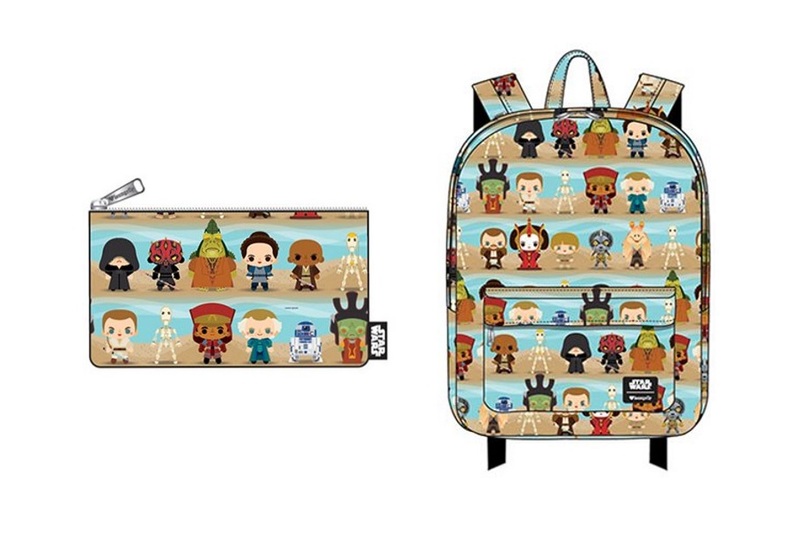 The backpack is priced at US$40.00 each, while the coin bag/pencil case is priced at US$8.00 each – while Entertainment Earth can ship internationally, these Loungefly x Star Wars items can only ship to selected countries (overseas customers can order via a mail forwarding service).